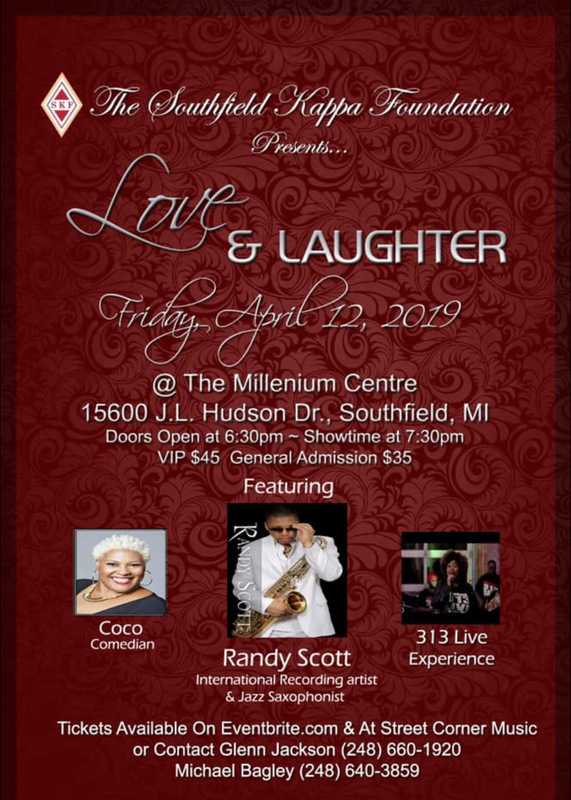 Tickets are on sale for Love & Laughter presented by the Southfield Kappa Foundation. Friday, April 12th at The Millenium Centre in Southfield, MI. 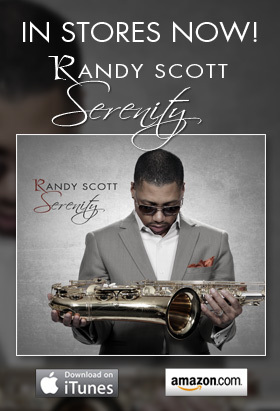 Tickets are now available for Randy’s Serenity CD release concert and listening party! The new CD will be in stores June 2015. 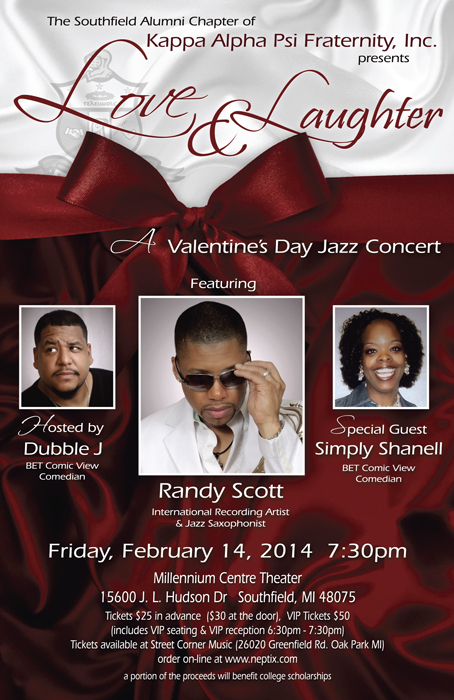 Download the flyer for the “Love & Laughter” Valentine’s Day Jazz concert featuring Randy Scott. The concert will be held on Friday, February 14, 2014 at 7:30pm. Download the flyer for Randy’s performance on October 20th. Check out this feature video of Randy from his performance at the Heinz C. Pretcher Performing Arts Center. 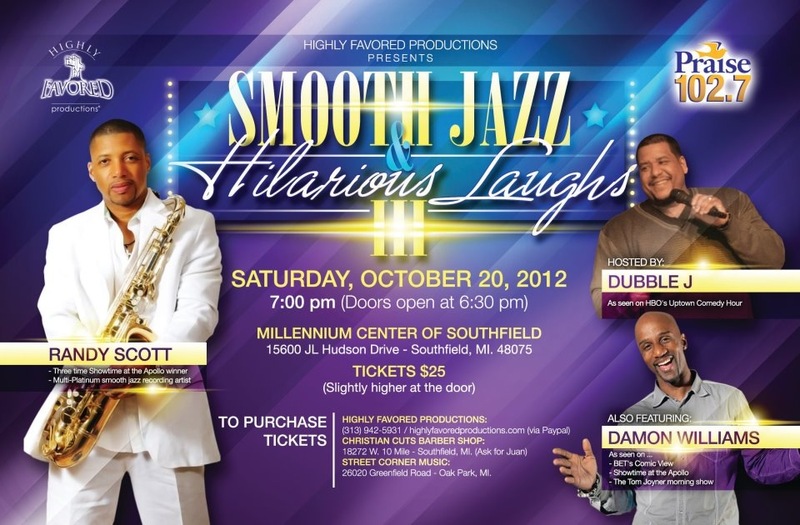 Check out Randy’s performance on Fox 2 News to promote “An Evening of Jazz featuring Randy Scott”. Download the flyer for Randy’s performance with his band, and Demetrius “Krayon” Nabors on August 11th. 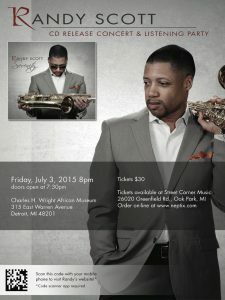 Check out Randy’s live performance at the 2012 Detroit Fireworks. Randy’s new radio single, Boogie Oogie Oogie, has reached #13 on the Groove Jazz Music Top 30 Chart. Special thanks to Jeff Lunt & Les Cutmore at Trippin N Rhythm Records! Buy the single, Boogie Oogie Oogie, or the full album in stores and online including Amazon.com and iTunes.